Surrounding the tire-shredding action at Charlotte Motor Speedway, the NASCAR Hall of Fame is offering many ways for fans and visitors to fuel up on fun during May, which has been officially declared Motorsports Month in North Carolina by Governor Pat McCrory. Surrounding the 10 days of NASCAR Thunder at Charlotte Motor Speedway, the NASCAR Hall of Fame is offering many ways for fans and visitors to fuel up on fun during May, which has been officially declared Motorsports Month in North Carolina by Governor Pat McCrory. From Racing Insiders Tours to the historic announcement of the Class of 2016 to the inaugural PNC Speed Street 5K and Kids 600 Yard Fun Run, guests will find high-octane happenings at the NASCAR Hall of Fame all month long. The NASCAR Hall of Fame is also celebrating Membership Appreciation Month throughout May with daily giveaways, a chance to win a VIP experience at the Bojangles’ Southern 500 at Darlington Raceway, special members-only activities like a historian-led tour through the Hall, an exclusive sneak peek of the newest special exhibit set to open this summer, a private autograph session with the Class of 2016, a simulator racing challenge and more. Additional member benefits include annual admission and unlimited simulator rides, member gifts, access to exclusive content, discounts and more. 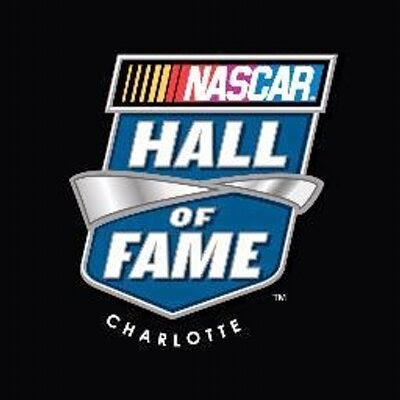 Fans can learn more about becoming a NASCAR Hall of Fame member at nascarhall.com/membership. And just off the heels of celebrating the NASCAR Hall of Fame’s fifth anniversary, the NASCAR Hall of Fame Class of 2016 and the recipient of the 2016 Landmark Award for Outstanding Contributions to NASCAR will be announced live in the Great Hall on Wednesday, May 20 at 6 p.m. ET. The announcement is open to the public (admission to the Great Hall is free after 5 p.m.) and will be broadcast live from the NASCAR Hall of Fame on NBC Sports Network, Sirius XM NASCAR Radio and NASCAR.com. Fans still have time to lock in their vote for the legends they think should be in the NASCAR Hall of Fame’s seventh induction class by submitting a Fan Vote on NASCAR.com/halloffame. Fans have until Monday, May 18 at 11:59 p.m. ET to vote for five of the 20 nominees for the Class of 2016. The top five nominees with the most fan votes will be cast as the final ballot on Voting Day. 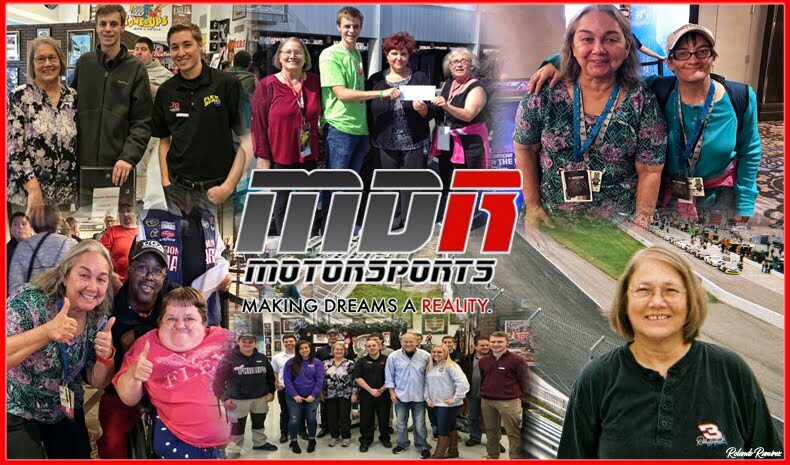 Legends and Champions Club Members are invited to a special movie premiere of the documentary “Driven” on Thursday, May 14 at 5:30 p.m. in the NASCAR Hall of Fame High Octane Theater. Hosted by Michael Waltrip Racing, the documentary features Patrick Staropoli as a University of Miami medical student racing his way to NASCAR. For more information about becoming a member, visit nascarhall.com/membership. The Racing Insiders Tour is an all-access, in-depth tour in and around Charlotte’s racing community. The Tour 85 itinerary makes stops at the NASCAR Hall of Fame and shops along Interstate 85 including Stewart-Haas Racing, Roush Fenway Racing and Hendrick Motorsports. The tour runs from approximately 9:15 a.m. to 5 p.m. To purchase tickets, visit racinginsiderstour.com. Racing Insiders Tour: Tour 85 The Racing Insiders Tour is an all-access, in-depth tour in and around Charlotte’s racing community. The Tour 85 itinerary makes stops at the NASCAR Hall of Fame and shops along Interstate 85 including Stewart-Haas Racing, Roush Fenway Racing and Hendrick Motorsports. The tour runs from approximately 9:15 a.m. to 5 p.m. To purchase tickets, visit racinginsiderstour.com. NASCAR Hall of Fame Legends Members will have access to an exclusive area located behind the scenes, just outside the all-important Voting Room at the Charlotte Convention Center. For more information about becoming a member, visit nascarhall.com/membership. The NASCAR Hall of Fame Class of 2016 and the recipient of the 2016 Landmark Award for Outstanding Contributions to NASCAR will be announced live in the Great Hall on Wednesday, May 20 at 6 p.m. ET. The announcement is open to the public (admission to the Great Hall is free after 5 p.m.) and will be broadcast live from the NASCAR Hall of Fame on NBC Sports Network, Sirius XM NASCAR Radio and NASCAR.com. The Racing Insiders Tour is an all-access, in-depth tour in and around Charlotte’s racing community. The Tour 77 itinerary makes stops at the NASCAR Hall of Fame and shops along Interstate 77 including Joe Gibbs Racing, Penske Racing and Michael Waltrip Racing. The tour runs from approximately 9:15 a.m. to 5 p.m. To purchase tickets, visit racinginsiderstour.com. As one of the largest street festivals in the Southeast with approximately 400,000 attendees over three days, Speed Street features live entertainment, access to NASCAR stars and interactive activities for the whole family. The Coca-Cola Stage will be located next to the NASCAR Hall of Fame and will feature free live performances by Mike Regan’s All Stars (5:30 p.m.), The Reason You Stayed (7-8 p.m.), Appetite for Destruction, The Ultimate Guns & Roses Experience (8:30 p.m.) and Departure, A Journey Tribute Band (10:30 p.m.). For a full schedule of events, visit 600festival.com. Join NASCAR Hall of Fame Historian Buz McKim for an exclusive tour of the NASCAR Hall of Fame at 11 a.m. Learn more about the history and heritage of NASCAR and how it is preserved through artifacts and exhibits at the Hall. For more information about becoming a member, visit nascarhall.com/membership. NASCAR Hall of Fame members are invited to join the exhibits team in the NASCAR Hall of Fame Legends Room at 2:30 p.m. for a behind-the-scenes look at artifacts included in the newest special exhibit set to open this summer. For more information about becoming a member, visit nascarhall.com/membership. As one of the largest street festivals in the Southeast with approximately 400,000 attendees over three days, Speed Street features live entertainment, access to NASCAR stars and interactive activities for the whole family. The Coca-Cola Stage will be located next to the NASCAR Hall of Fame and will feature free live performances by Amy Taylor (6 p.m.), Parmalee (9 p.m.) and Corey Smith (10:30 p.m.) as well as a motorcycle giveaway by the NASCAR Foundation (7 p.m.) and a Q&A with Coca-Cola racing family drivers (8 p.m.). For a full schedule of events, visit 600festival.com. The inaugural PNC Speed Street 5K will take place on Saturday, May 23 at 8 a.m. in Uptown Charlotte. The start line will be on Tryon Street and the finish line will be located at the NASCAR Hall of Fame as well as the Speed Street Kids 600 Yard Fun Run that will begin inside the NASCAR Hall of Fame on Glory Road and end on the NASCAR Hall of Fame Plaza. The awards celebration will take place on the Coca-Cola Stage at 9:15 a.m. To register, visit speedstreet5k.racesonline.com. Join the recently announced Class of 2016 for a moderated Q&A session in the Great Hall at 10 a.m. (subject to change based on Hall of Famer availability). This event is open to the public. General admission is required. NASCAR Hall of Fame members are invited to join the recently announced Class of 2016 for a members-only autograph session in the Hall of Honor from 10:30-11:30 a.m. (subject to change based on Hall of Famer availability). For more information about becoming a member, visit nascarhall.com/membership. Legends and Champion Club Members are invited to a special reception with the recently announced Class of 2016 in the Theater Lobby at 11:30 a.m. (subject to change based on Hall of Famer availability). 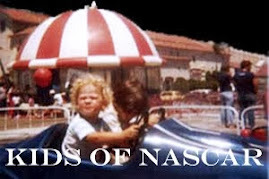 For more information about becoming a member, visit nascarhall.com/membership. As one of the largest street festivals in the Southeast with approximately 400,000 attendees over three days, Speed Street features live entertainment, access to NASCAR stars and interactive activities for the whole family. The Coca-Cola Stage will be located next to the NASCAR Hall of Fame and will feature free live performances by School or Rock (4:30 p.m.), Halfway to Hazard (8 p.m.), Craig Wayne Boyd, winner of “The Voice” (9 p.m.) and Dennis DeYoung and the music of Styx (10:30 p.m.). Additional activities at the Coca-Cola Stage on Saturday, May 23 include Nathan’s Famous Hot Dog Eating Contest (6 p.m.) and a Q&A with Coca-Cola racing family drivers (7 p.m.). For a full schedule of events, visit 600festival.com. NASCAR Hall of Fame Charter Members are invited to special ceremony featuring inaugural inductee Junior Johnson in the High Octane Theater at 10 a.m. to honor their commitment and support of the NASCAR Hall of Fame since it opened in 2010. May 15-17: 9 a.m. – 6 p.m.
May 18-20: 10 a.m. – 6 p.m.
May 21-22: 9 a.m. – 8 p.m.
May 23-24: 9 a.m. – 6 p.m.
May 25-31: 10 a.m. – 6 p.m.
General admission tickets to the NASCAR Hall of Fame can be purchased by calling (877) 231-2010 or at nascarhall.com. Admission is $19.95 for adults, $17.95 for seniors and military, $12.95 for children 5-12 and free for children younger than 5. Memberships are available starting at $125. The NASCAR Hall of Fame is open daily 10 a.m. – 6 p.m. For more details, visit nascarhall.com. Updates are available at facebook.com/nascarhall or by following @NASCARHall on Twitter. #NASCAR Elite Visit Kansas City School! 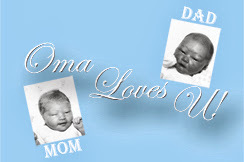 Kurt Busch is An Uncle!